Yes, Fukushima is a lot worse than Chernobyl already. The dirty bomb has indeed gone off already. In Japan, coverup and denial persist. In a March 18 press conference, Tokyo Electric’s (TEPCO) spokesman claimed water-dousing lowered radiation levels from 312 microsieverts per hour to 289. However, 48 hours earlier, chief cabinet secretary Yukido Edano said radioactivity levels were misreported in microsieverts instead of millisieverts – 1,000 times stronger. Contrary to other reports, TEPCO’s spokesman also said water remains in Unit 4’s cooling pool. In fact, there’s none. Nothing the company says is credible. In fact, IAEA and UN agencies lied, what’s ongoing now on Fukushima to conceal the greatest ever environmental/human disaster by far. Calling it a “diabolical catastrophe,” Caldicott, in fact, believes “(i)t could be much, much worse than” 30 multiples of Chernobyl. “In the northern hemisphere, many millions could get cancer.” Large parts of Japan may be permanently contaminated, not safe to live in. In fact, nuclear power isn’t “clean and green,” nor is it safe or renewable. “It is instead ‘a destroyer of worlds.’ It is time the globaly community repudiated it….There is no other choice for the sake of future generations” and planet earth. Humanity has a choice – nuclear power or life itself. America’s “top nuclear official followed up his (day before) bleak appraisal of the grave situation at the plant, (cautioning) it would “take some time, possibly weeks” to make headway. Officials are also trying to restore power with no assurance doing so can help. Explosions, fires, and extremely high heat destroyed most or all plant equipment, likely including water pumps. More likely, however, it’s deception, trying to convince public opinion that anything can work when, in fact, it may already be too late. Radioactive “(s)team was again rising over another part of the plant, this time billowing from Reactor No. 2” that exploded on Tuesday. No explanation why was given. False! Radiation levels in Tokyo are dangerously high and rising. Moreover, a radiation cloud will reach California by weekend, then spread across most of North America. Downplaying the disaster’s severity is scandalous and criminal. Besides dead zones and permanent environmental contamination, millions of illnesses and deaths are likely, though years will pass before accurate information is known. Make no mistake, Japan’s government/industry cabal bears full responsibility for the greatest ever environmental/human disaster, an indisputable crime. They have blood on their hands as does America, other governments, and “Destroyer of Worlds” officials that that proliferate this technology from hell. Nothing short of banning it is acceptable. Stephen Lendman lives in Chicago and can be reached at Email address removed. Also visit his blog site at sjlendman.blogspot.com and listen to cutting-edge discussions with distinguished guests on the Progressive Radio News Hour on the Progressive Radio Network Thursdays at 10AM US Central time and Saturdays and Sundays at noon. All programs are archived for easy listening. 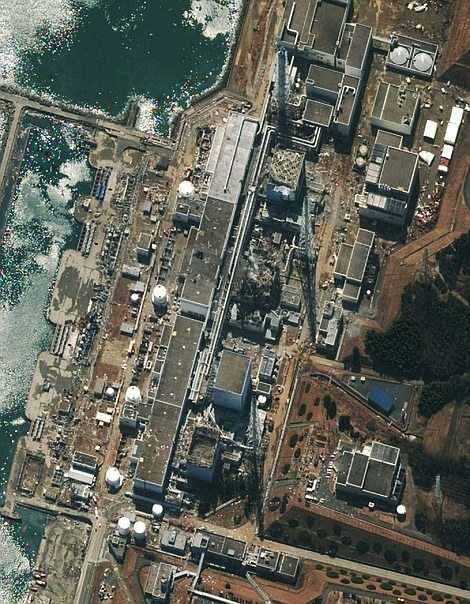 All readers….watch this 8 min movie of a japan nuclear power plant meltdown and the drama that insued. post or send this to everyone… it will explain all. So…. One million dead? Worse than Chernobyl? I live here, man. Its not bad. Like, at all. You are the reason people constantly worry for no reason.